TeliApp is a completely integrated solution that includes our creative, engineering, marketing and networking capabilities. And we’re the only company to offer end-to-end capabilities that truly complete the lifecycle all the way from creation, through to development, deployment and monetization. Founded in 2012, TeliApp is an actionable data insights company that specializes in deep machine learning with a focus on human behavior pattern prediction modeling. We developed an AI engine that can detect, analyze and predict trends, and we underwrote our technology by developing custom design, software development and marketing solutions for clients. I need a website for by business. Can I get that here? Yep, we build websites all the time for other businesses. 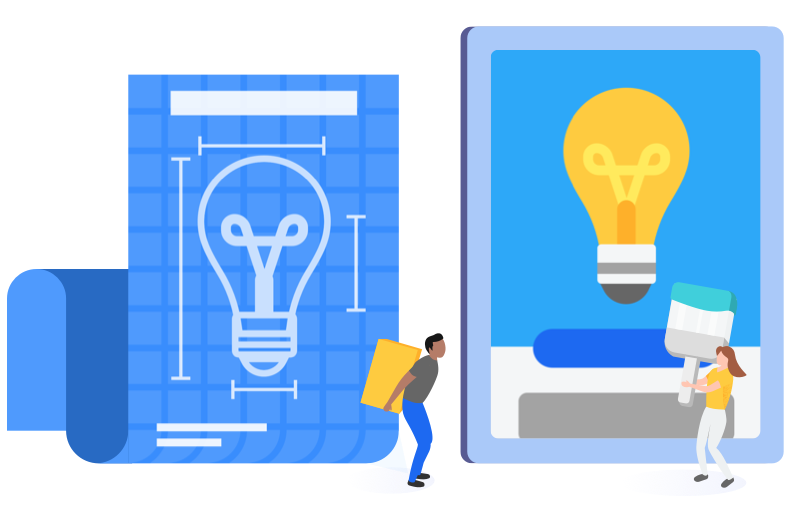 Our web development team is a group of amazing designers and web developers who build everything from basic sites to complex eCommerce sites with integrated distribution and logistics. Contact us to tell us about your business, your budget and to see if we’re a good fit for you. Do you design and build apps for smartphones or tablets? We sure do. Our team has expertise in Java, XCode, Swift, C#, Python, Go, Ruby, PHP, ASP.NET and Node.js. We develop server/backend components in Google Cloud Platform, Amazon Web Services and Microsoft Azure. We work with several cross-platform technologies when appropriate. We are experienced with various forms of security protocols and encryption, which we utilize in all our client projects. We don’t typically favor any specific technology or server/cloud system and make best efforts to make recommendations that we believe are appropriate for our client. I need help marketing my business. Can you help? We’d love to! Our marketing team brings over twenty years of experience in marketing, social media and search engine marketing mechanics, advertising, graphic design, illustration and presentation analysis. Our in-house marketing ninjas are constantly and proactively exploring new methods and techniques to realize maximum marketing exposure. Contact us to tell us more about your business. I'm a U.S. Government Agency. Can I work with you? Absolutely. TeliApp can build software and develop machine learning integrations for U.S. Government Agencies. TeliApp is a U.S.-based company with an active CAGE code and does not outsource any portion of its work. All our work product is done in-house with the oversight of company management. Contact us so that we can help. Can I get in touch with your clients to get references? Yes, we give our client contact information, with their permission, to certain prospects when requested and when it is appropriate. Have you guys been doing this for a while? We started the company in 2012, but each of us have been in the industry for a very long time. While at TeliApp, both the company and our CEO have been mentioned in Entrepreneur Magazine, Mashable, Forbes, Time, NPR, NBC Online, CBS News MoneyWatch, SmartCEO Magazine, Information Week, PC World and others. Through our team’s combined efforts, TeliApp was named the Rising Star Company of 2015 by the NJ Tech Council, a leader in NJ technology. TeliApp was named a leading software development firm by Clutch analysts in 2016, 2017 and 2018. Josh was a 2017 Technology Finalist for Ernst & Young’s Entrepreneurs of the Year. Can you tell me about your development lifecycle? Experience is an excellent educator and continues to foster best practices. We strive to evolve our methodologies to stay current and to offer the best possible service to our clients. Depending on the specifics of your project, we may utilize bottom up, top down, combination and/or big bang approaches. We will make recommendations as to which marketing methods, technologies and standards are most likely to encourage maximum exposure. When you work with clients, who owns the finished product? As a paid vendor, we retain no ownership in the work product we produce for our clients. What kind of security do you guys use? We employ industry standard security measures and/or encryption to store your data to ensure that the work product we produce for you is safe. When appropriate, we can employ even more complicated forms of security and encryption to keep your work product secure.